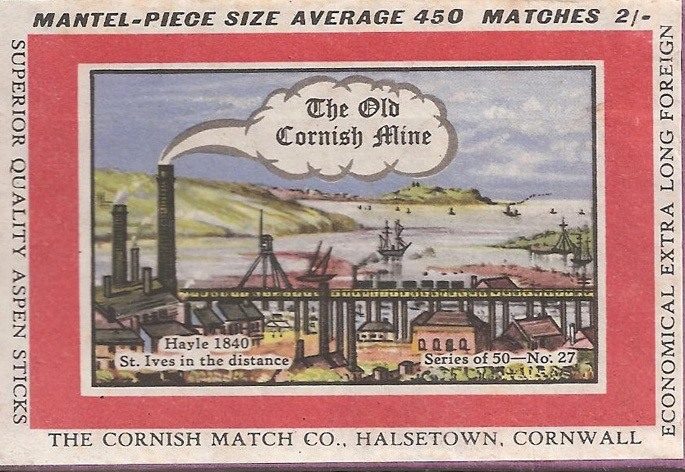 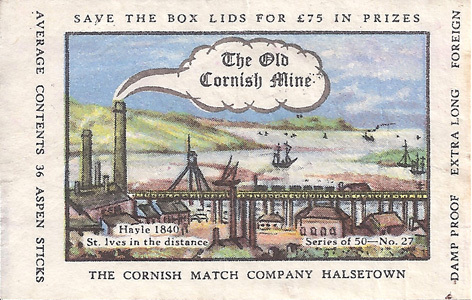 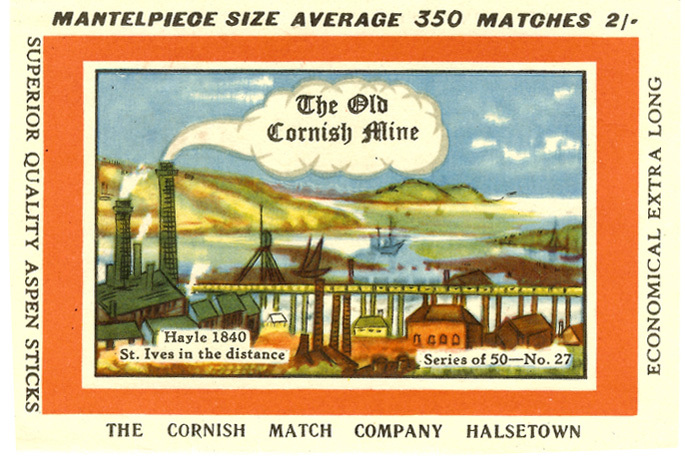 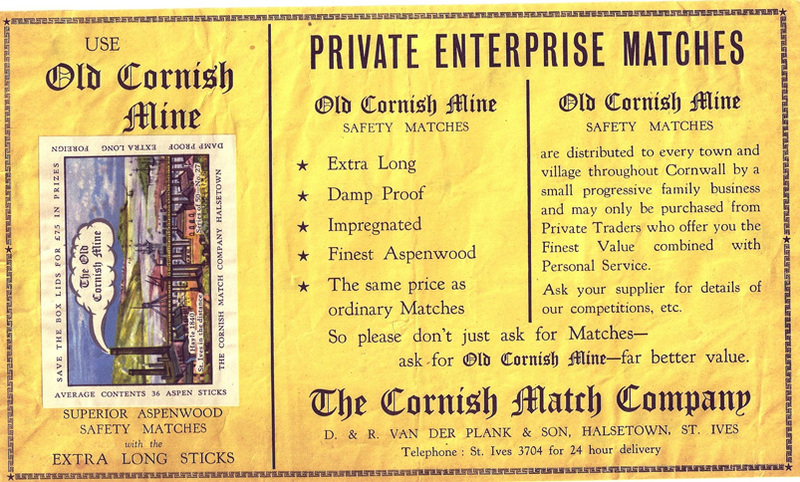 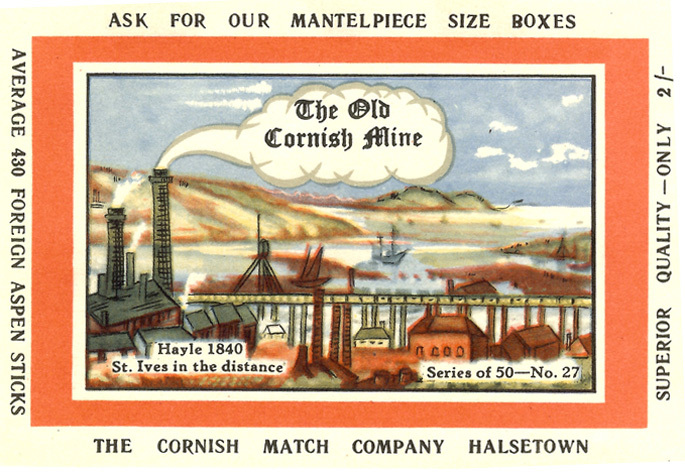 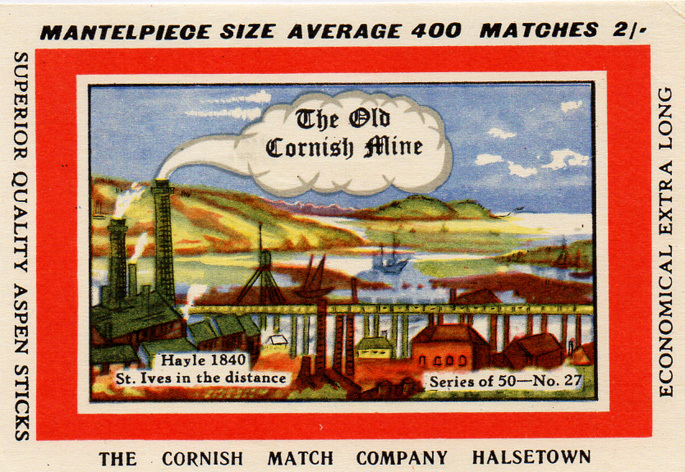 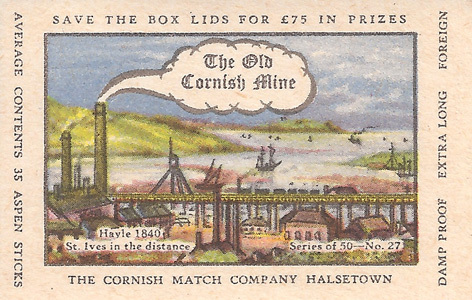 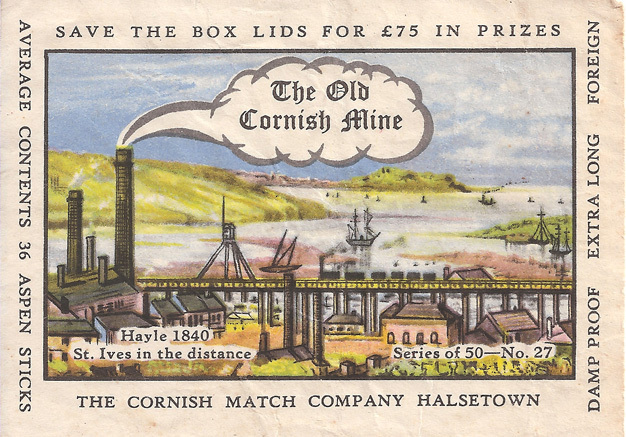 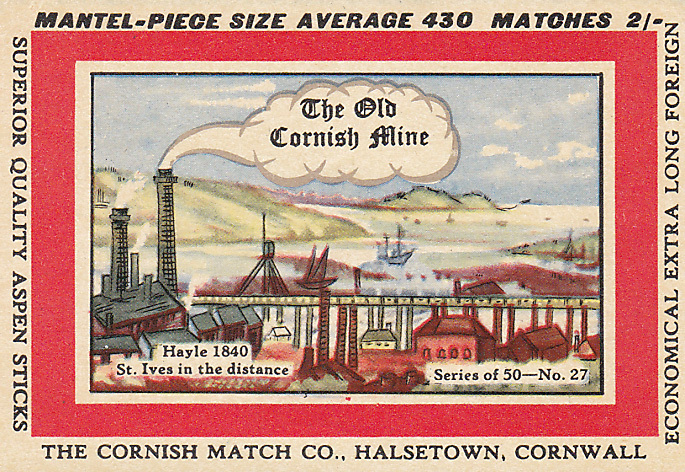 The label shows the Harvey & Co foundry at Hayle, famous for producing beam engines for many Cornish mines. 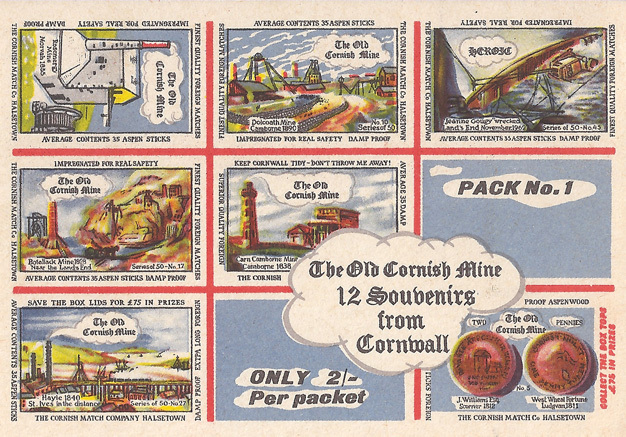 The Angarrack viaduct designed by Isambard Kingdom Brunel was nearly 240 m long and 30 m high. 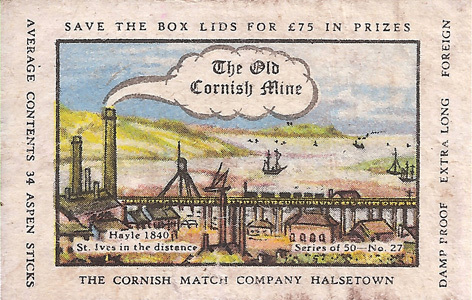 The date on the label (1840) is doubtful. 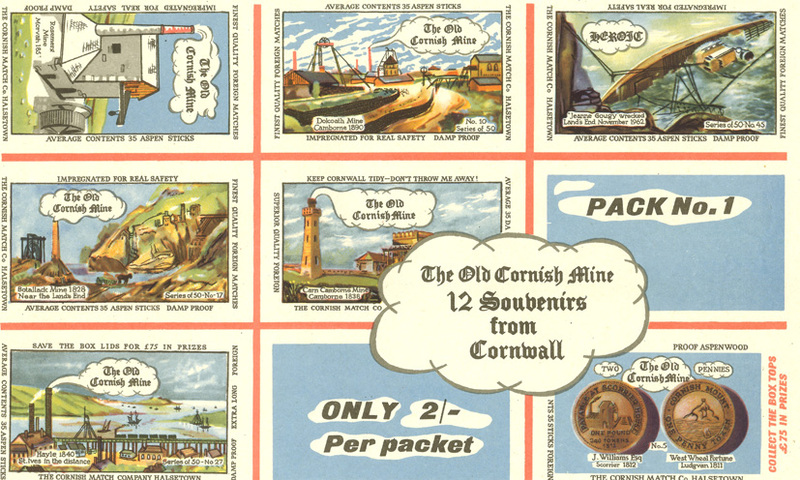 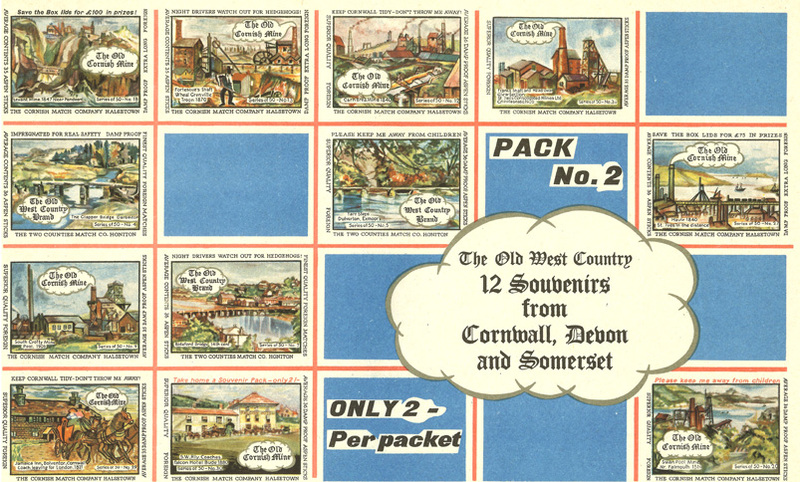 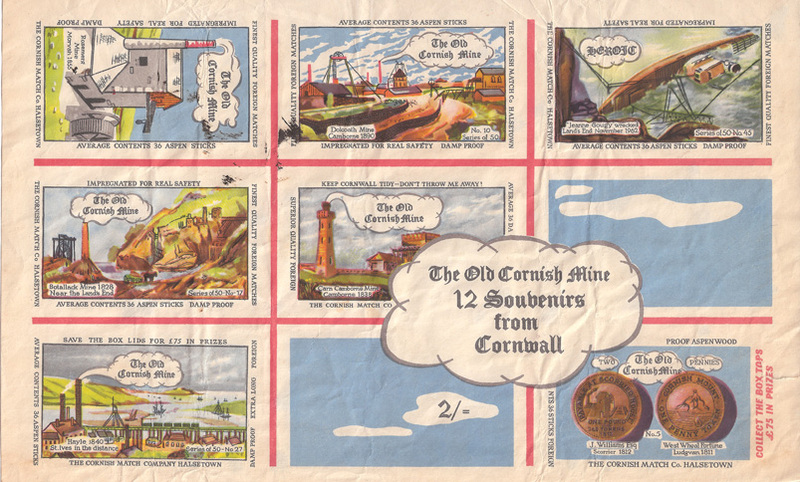 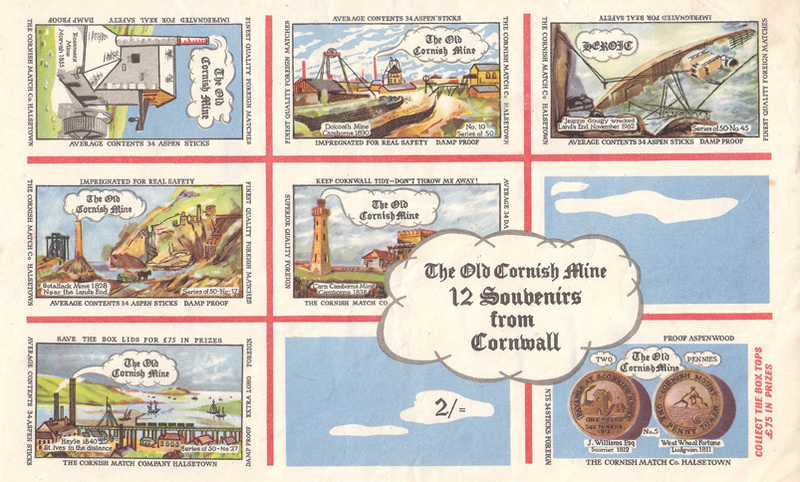 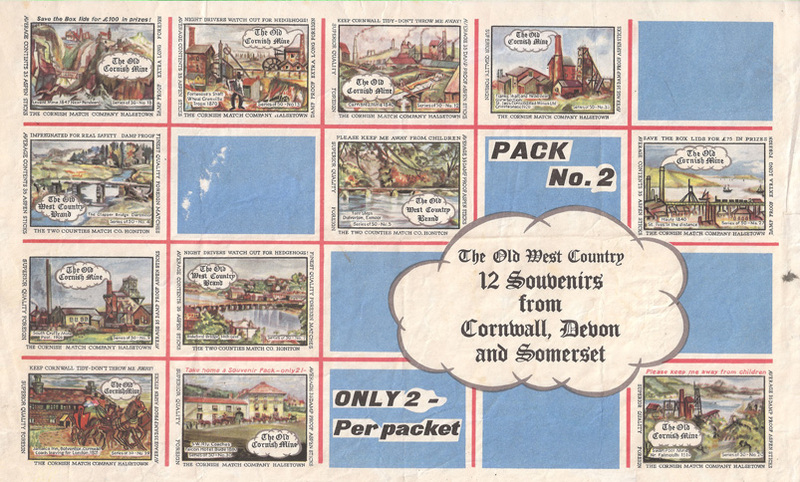 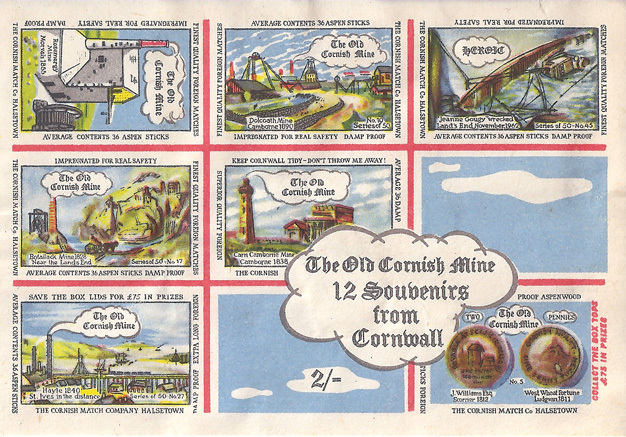 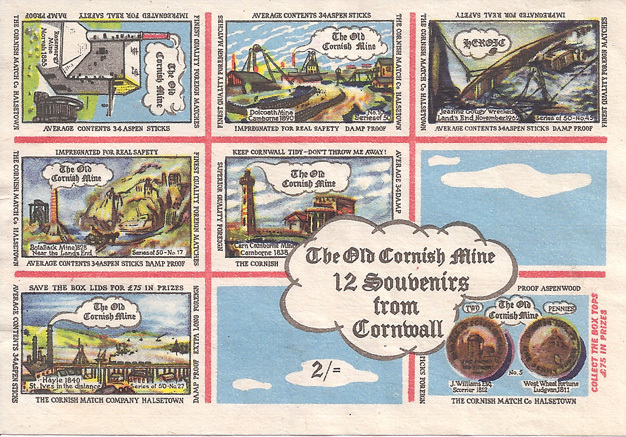 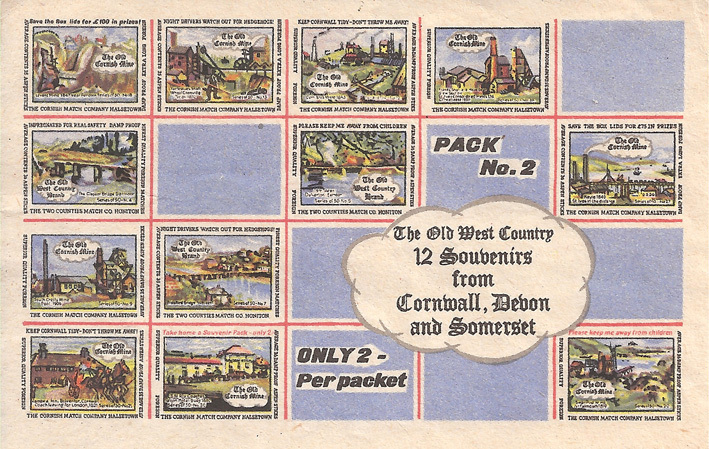 The illustration appeared on 10 individual and 10 souvenir labels. 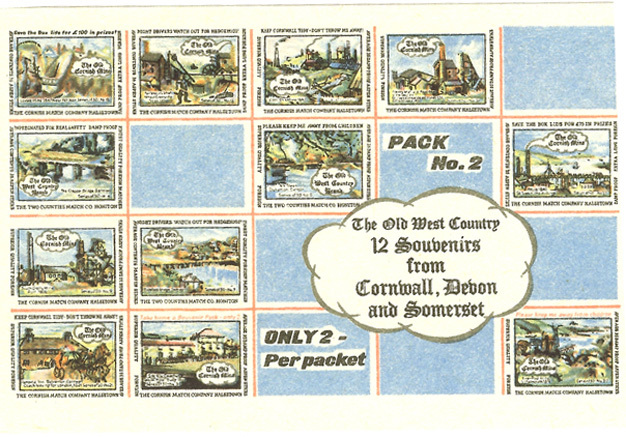 It was first issued in February 1964 and is the work of artist Eric Mason.